Dr. Wright is the Medical Director of Tahoma Clinic where he also practices medicine. A Harvard University (A.B. 1965) and University of Michigan graduate (M.D. 1969), he continues to be a forerunner in research and application of natural treatments for healthy aging and illness. 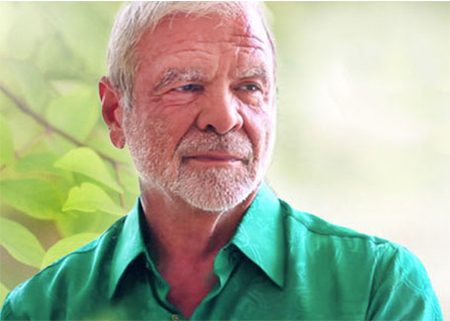 Along with Alan Gaby, M.D., he has since 1976 accumulated a file of over 50,000 research papers about diet, vitamins, minerals, botanicals, and other natural substances from which he has developed non-patent medicine (non-“drug”) treatments for health problems. Dr. Wright has taught natural biochemical medical treatments since 1983 to thousands of physicians in the USA, Europe, and Japan. He was the first to develop and introduce the use of comprehensive patterns of bio-identical hormones (including estrogens, progesterone, DHEA and testosterone) in 1982 and (at Meridian Valley Laboratory) directed the development of tests to ensure their safe use. He teaches use and laboratory monitoring of bio-identical hormones at several seminars each year. He also originated successful natural treatment for elimination of childhood asthma, developed treatment to stop vision loss or improve vision in the majority of individuals with “dry” macular degeneration, was the first to use aldosterone to reverse age-related hearing loss, discovered the effect of iodine on estrogen metabolism and cobalt on steroid detoxification, popularized the use of D-mannose treatment for E. coli urinary tract infection, developed effective natural treatment for seborrheic dermatitis, allergic and viral conjunctivitis, and Osgood-Schlatter’s disease. In 2013, he resurrected forgotten research and treatment protocols for the application of Human Chorionic Gonadotropin (hCG) to treat severe neurological problems. An acclaimed lecturer, Dr. Wright speaks nationwide on varied topics including nutritional medicine, natural hormone replacement therapies for men and women, the natural treatment of cardiovascular diseases, asthma, diabetes, the use of D-mannose for bladder infection, the health benefits of Vitamin D (including correct usage and laboratory testing) as well as many other topics. Dr. Wright’s speaking engagements are displayed on the Event Calendar. Click here to see Dr. Jonathan V. Wright’s Curriculum Vitae. On April 28th, 2012 Dr. Wright was honored in an award ceremony at the International Society of Orthomolecular Medicine’s annual conference in Vancouver, BC. Dr. Wright was inducted into the Orthomolecular Hall of Fame in recognition of his outstanding contributions to orthomolecular medicine over the years. He joins other well-known and respected pioneers honored by the organization since 2004. Dr. Wright has authored or co/authored many books which are excellent tools for enhancing health and wellbeing. Click here to see all of Dr. Wright’s books. In an effort to reach listeners across Puget Sound, Dr. Wright began his “Green Medicine” radio show, at KVI 570 Saturdays from Noon until 2 PM, in August of 2009. The show alternates call-in questions that Dr. Wright answers personally with short lectures on popular health topics. The phone number to call in for the show is 888-312-5757. Dr. Wright invites you to tune in or listen via the internet at kvi.com. Past shows are posted and can be downloaded at GreenMedicineOnline.com, with a searchable database of talk topics. Dr. Wright’s Green Medicine Newsletter is available. To subscribe, go to www.GreenMedicineNewsletter.com, or click here. Customer Service phone number: 800-528-0559.